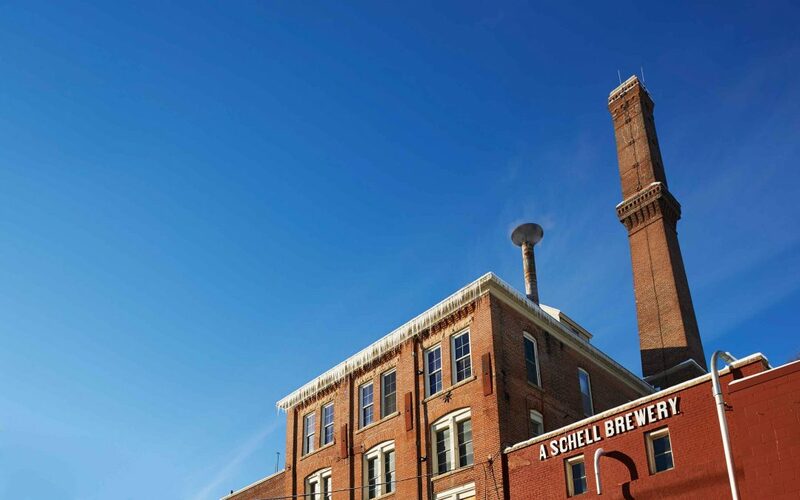 Meet Our Sponsor – August Schell Brewing Co.
What’s so awesome about August Schell Brewing Company? It’s easier to say what’s not awesome about our company. For starters, we are America’s 2nd oldest family-owned brewery with the 5th and 6th generations active in the day-to-day processes at the brewery. Our 158 year old brewery is located in the hills on the edge of New Ulm, MN. We specialize in German-style craft beers as a way to keep true to our German heritage. In 2002, we purchased the rights to the Grain Belt name and have been making the full lineup of Grain Belt beers ever since. When you work at August Schell Brewing Company, you really feel like you are part of the family because the Marti’s are an incredible family to work for. What’s new or upcoming for you in 2018? 2018 marks the 125th Anniversary of the Grain Belt name and we kicked off the year by re-lighting the famous Grain Belt sign in Downtown Minneapolis. The sign hasn’t been lit since the mid-90s. Also, we completely refreshed the Schell’s brand image with all new packaging, labels, logos, and taphandles which you should see showing up in Iowa soon. We also just recently released our newest year-round beer, Schell’s Citra-Blanc Pale Lager. It’s a heavily citra-hopped lager that has all the characteristic of an IPA but with a nice crisp lager finish. Look for it in 16oz cans! For the first time we have released our immensely popular Grain Belt Blu in 12pk cans. These are selling fast so grab them when you see them. This is just a small bit of what we have going on so check us out on all the typical social media platforms and also at our website, schellsbrewery.com for updates and new items and events. What’s so awesome about the Des Moines area beer scene? I personally have been part of the Des Moines beer scene for 10 years. Eight years working for a distributor and the past two years working for August Schell Brewing Company. In that time, it’s awesome to see how diverse the craft beer scene has become. Accounts we would never suspect having an interest in craft beer have fully embraced it. When it comes to other supplier reps, distributor reps, bar managers and liquor store employees, the people in the beer scene in Des Moines make the job a lot of fun.